- On Saturday and Sunday, Mt. Nittany Vineyard and Winery combines two of the best things about the holidays, mulled wine and cookies. 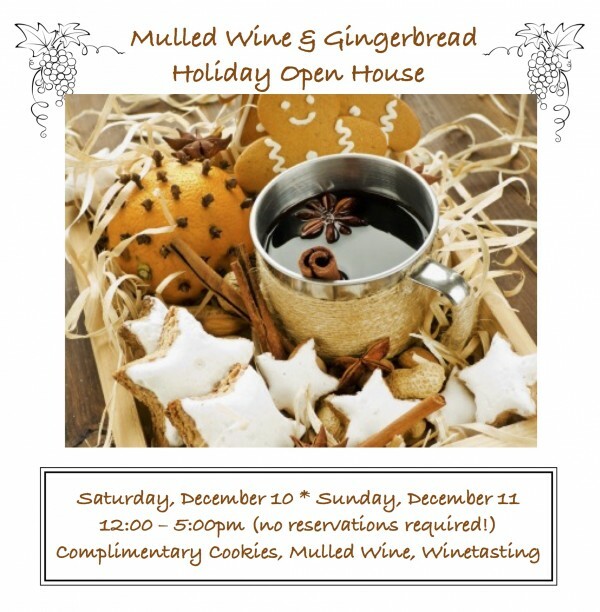 The Winery will hold their Mulled Wine & Gingerbread Open House both days from noon to 5:00 p.m., and no reservations are required. The will offer wine gift boxes you can customize and many locally-made food and gift items. - Bellefonte Victorian Christmas will turn back the clock this weekend in a show of old-time holiday festivity Saturday and Sunday in various locations throughout Bellefonte. The event will feature an Historic Homes Tour, the Arts & Crafts Show, concerts, horse-drawn buggy rides, gingerbread house contest, train rides, strolling entertainment, breakfast with Santa, and a Victorian Tea Party. The event runs Saturday and Sunday, and one more thing…this will also be your last chance of the year to get what is arguably Centre County’s best sandwich, the Scott Roaster’s pork sandwich made with locally raised pork. - Join Millbrook Marsh Nature Center at 10:30 a.m. Saturday in the Spring Creek Education Building for this holiday tradition with “less mess and less stress.” Gingerbread houses are pre-baked and ready to go with decorations included. All you need to do is bring your creativity and holiday cheer. - While not specifically holiday-oriented, Raven + the Wren are a great band and will be playing Saturday at 8:00 p.m. at Elk Creek Cafe + Aleworks. They are a band that “is the creation of four people who live and breathe music, who are honest about their passions, and who have carved from that honesty an album that will stand the test of time.” If that’s not enough to get you out to Elk Creek, their Brookie Brown Ale is a wonderful winter brew and their local food menu is first rate.